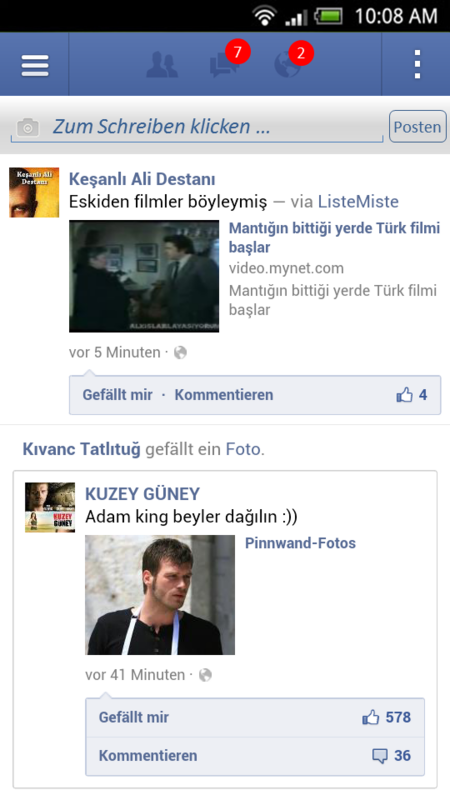 Hasan Kaymak, the guy behind the HTC Concepts idea created a Facebook for Android app design, that’s fresh an innovative. We have some shots of the fresh UI pictured below and as usual feedback is welcome. The interface is very clean and its styling reminds me a bit of the Android 4.0 ICS look. The social stream is basically the same, but the icons at the top, those that show notifications are a bit different. You also get voice control in the app and the main menu is totally different from everything you know till now. There are some tiles involved, much like in Metro UI and on the right side we have the main options of the account (Messages, Notifications, Friend Requests and Settings). This placement on the right reminds me very much of Facebook for PS Vita app and I recommend that the designer checks that out for comparison sake. Frankly speaking, the Facebook app for the PlayStation Vita is a disappointment, but this app concept seems pretty comfortable to use. Hasan also shows us a brand new widget for this application, obviously on a HTC phone. The focus seems to be Facebook chatting here, with large speech bubbles and minimalistic UI. What do you think about this Facebook app design?